“When the 1st Argyll & Sutherland Highlanders go into action in Korea my thoughts will be with one man – the Regimental Sergeant Major Paddy Boyde. There isn’t another bloke in the Army I’d rather soldier with. 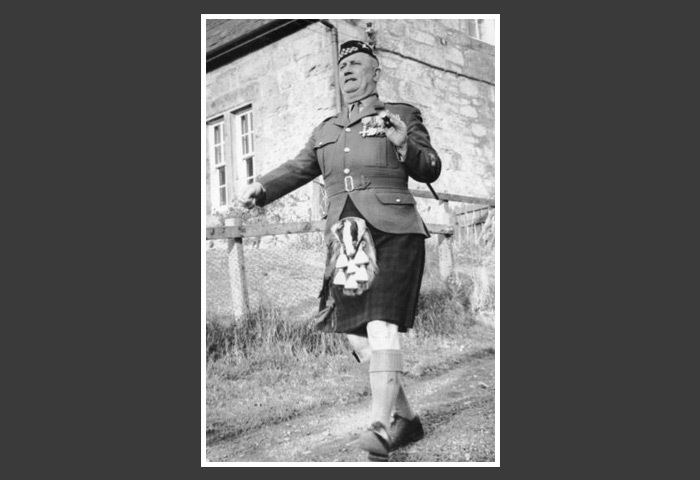 In the kilt he’s the very picture of the Highland soldier – even though he’s Irish. Maybe it’s the combination of an Irish birth and seventeen years of Scots training that made him an enemy to be feared and a friend to be proud of” so wrote An Old Argyll as RSM Boyde prepared to go into action in Korea.